Fundraising Team "Tipsy for TaTas" is stepping it up with a Fundraiser at Red Table Restaurants on May 1st. Ya gotta eat...might as well support Standup for the Cure visit Red Table Restaurants! Party for a Purpose! Join Aqua Adventures on April 27th! PARTY FOR A PURPOSE WITH AQUA ADVENTURES AND HELP FIGHT BREAST CANCER! Join paddle and non paddle friends at Aqua Adventures Kayaks and Paddleboards on Friday, April 27th. Loon Paddle Company to Donate $100 for Every Paddle Board Sold in July! Buy a Loon Paddle Board in the month of July and Loon Paddle Company will donate $100 in your name to Standup for the Cure! KL Outdoor will be selling all the demo boards they bring to the Stand Up for the Cure Muskegon event! XTERRA to donate $100 to Standup for the Cure for every Touring Board sold! In the walk of life, Cobian believes that Every Step Matters. Buy great shoes, from an amazing organization and support Standup for the Cure! Enter code "THECURE" when shopping Cobian online and 50% of your purchase will help save lives by paying for much needed breast cancer screenings in local communities across the U.S. Holds 15 Cans & Saves Lives! AO Coolers would like to introduce our new SUP Vinyl Cooler. This is the first cooler specifically designed with paddle boarding in mind. Purchase this cooler by itself or with attachments. This cooler has 4 eye-hooks making it easy to tie down when you 're on the go, whether it's on the water or on the road Designed for (S)tand (U)p (P)addle Board but works anywhere. Dimensions: 15" x 9.5" x 9"
Our new SUP VINYL COOLER Available in Royal Blue or Silver And like always, our coolers are guaranteed not to leak, and hold ice longer then any other soft cooler. AND - Proceeds from the sale of these coolers benefit StandUp for the Cure! 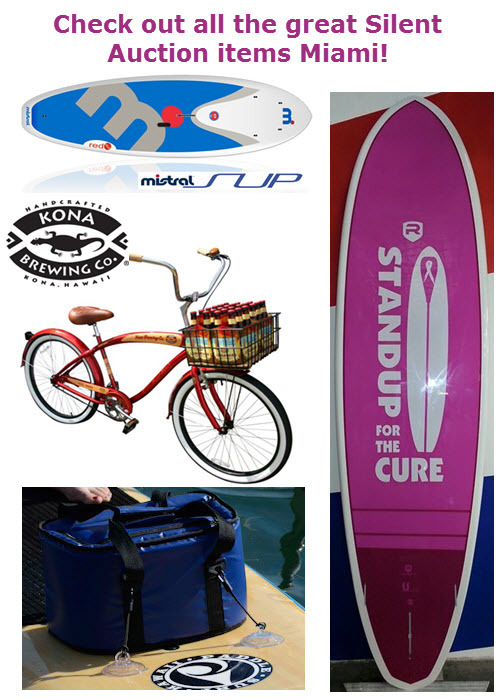 Text "KONASUP" to 56665 to be registered to win this Kona Stand Up Paddleboard! WE LOVE OUR FRIENDS AT KONA BREWING COMPANY! No purchase is required... you should probably text to enter now! Please contact Dan Van Dyck if you'd like to learn more about event sponsorship and our onsite expo. Check out the great silent auction items for Newport Beach 2016! THE ROUGE BLUE 10'6" SERIES BOARD OF TOMORROW! RENTALS, YOGA, FISHING, SURFING OR ANYTHING ELSE YOU CAN THINK OF AND THIS BOARD WILL DELIVER! WITH OVER 6 TIE DOWN POINTS AND 7 ATTACHMENT POINTS, YOU HAVE PLENTY OF WAYS TO TIE DOWN YOUR GEAR OR ATTACH YOUR ACCESSORIES. FULL DECK COVERAGE WITH OUR HONEYFOMB EVA PAD OFFERED IN BOTH R6 AND R9 CONSTRUCTION MAKE THIS BOARD COMFORTABLE AND DURABLE..
A Riviera "Standup for the Cure" branded, pink SUP! 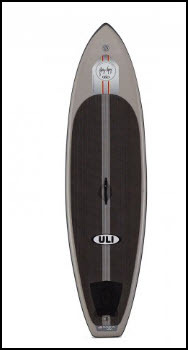 A Uli, 10' Gerry Lopez Ltd SUP valued at $1,495!